If you have a loved one that is facing criminal charges, it can be really difficult to know just what to do. Many parents, siblings, grandparents, aunts, uncles, and friends believe that the best thing to do is allow the person to work through the situation by themselves. However, some of the most common criminal defense clients are teenagers or young adults who, while legally are adults, do not have the knowledge to handle situations by themselves. They are typically university students who have been charged with a DUI, possession of a controlled substance, or something else that is small but has the potential to destroy their entire lives. For many, it is a test of firsts: first time being arrested, first time going to jail, first time trying to find a lawyer. These people need help and guidance as well as someone in their personal lives who is willing to fight for them. Even if they are someone with experience, it can help to have someone they can go to in a time of need. When you first talk to your loved one, he or she may not be looking for more than a sounding board – but you can do more. Write down details about what your friend says to you and then give them those notes. This can help them when they talk to a lawyer and have to recreate their side of the story. Don’t keep a copy of the notes for yourself, as they can fall into the wrong hands. 2. Are You A Witness? In some cases, a friend or loved one can act as a witness for someone who has been wrongfully charged with a crime such as a DUI or DWI. If you were with someone who wasn’t drinking or under the influence, but what charged with these crimes, you can provide an alibi. Make sure that you make it clear to your friend and to his or her criminal defense lawyer that you were with that person, you can prove it, and you can provide an alibi. This may sound strange, especially because they need someone to vent to, but keeping your loved one professional might help them in the long run. You want to talk to your friend about what he or she needs to do, especially if you have been in a similar situation. You also don’t want to push your friend to talk about things that might be confidential. This is especially true in situations where they may be able to fight back against the police – which is common in DUI and DWI cases. One thing that can be very difficult is telling someone that he or she is in the wrong, as you may have to do with your friend. You may want to help, and there may be ways to do that, but you also don’t want to be more of a distraction. 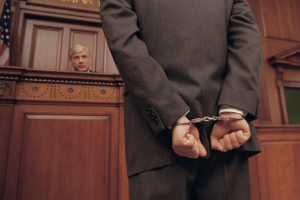 If you have a friend that is in legal trouble and you want to help, the best thing that you can do is connect him or her to a criminal defense lawyer that has the skillset and the time to take on the case. With these tips, you can make a difference without hindering anything.